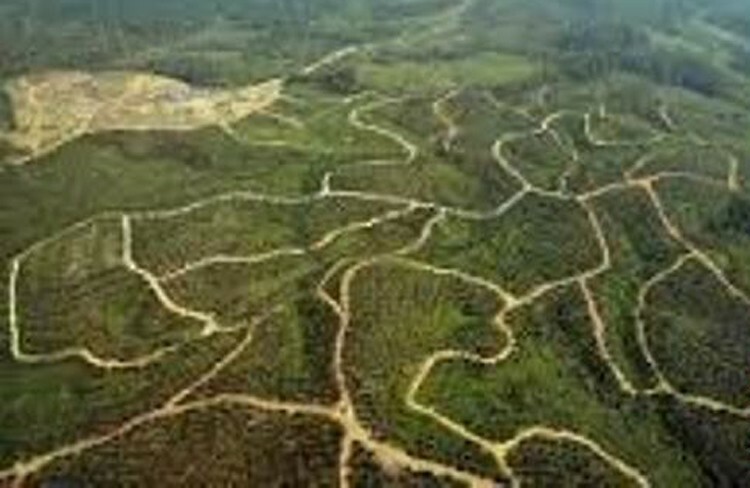 Palm oil corporations, nongovernmental organizations and farmers are engaged in constant tugs-of-war in resolving land disputes. Some 306 plantation-related conflicts over more than 341,000 hectares of disputed land across the country are impacting around 52,000 families, according to data from environmental watchdog Indonesia Forum for the Environment (Walhi). Walhi also pointed to five other cases in Central Sulawesi following reports from publicly listed plantation firm PT Astra Agro Lestari (AALI), which owns 98,177 ha of the 700,000 ha used for palm oil plantation. A recent case involved farmer Hemsi from the regency of Pasangkayu in West Sulawesi, who was arrested last December after damaging a motorcycle of employees of PT Mamuang, a subsidiary of AALI. “In 2017, when Hemsi was farming in his garden, AALI officials came and prohibited Hemsi [from farming] by intimidating him, which sparked Hemsi’s anger and led him to damage their motorcycle,” Central Sulawesi Walhi campaign manager Stevandi said recently. After trading barbs in court, Stevandi, representing Hemsi in the case, claimed that AALI had struggled to present a business land use rights (HGU) certificate over the disputed land. Teguh Ali, the community development area manager for PT Mamuang, rejected Stevandi’s claim, saying the company had in fact used the HGU certificate as a legal basis in multiple lawsuits. "According to longtime residents of the area, the location has been acquired and cultivated by the company, which owns the HGU for [the land]. The culprit suddenly comes, installs a pole and claims that he owns the land and then asks Walhi to defend him," he said, adding that the company respected the legal process. "I find it strange that [the matter] is considered a criminalization of farmers, since we depend on each other. We need farmers and the farmers need us," Teguh said. In the end, Hemsi was sentenced to prison for six months for damaging property. Stevandi said “conflict of interest” lingered on despite President Joko “Jokowi” Widodo’s agrarian reform program that aimed to distribute 188,000 ha of land to the people over four years starting in 2018. The program also addresses the issue of land left idle due to missing permits and aims to return plots of land illegally taken over by large corporations. Stevandi alleged that Hemsi’s case showed how corporations lacked transparency in declaring their HGU while continuing to take over plots of lands owned by farmers. Walhi also criticized the government’s incentives for corporations through a 2018 ministerial regulation that suspends the crude palm oil (CPO) levy if the international price drops below US$570. The regulation only imposes the levy of $25 per ton when the price exceeds the threshold, which will be doubled if the international price surpasses $619. “Around 80 percent of the CPO levy is given back to corporations for the development of biofuel as an alternative source of energy […] As the need for energy increases, the need for palm oil will also increase and potentially create pressure to use land for plantations,” Jakarta Walhi campaign manager Yuyun Harmono said recently. Agus Wijayanto, the Agrarian and Spatial Planning Ministry’s director general for handling agrarian issues, spatial use and land, dismissed claims that there were conflicts of interest, as businesses and humanitarian interests “should be built together”. “The root of the problem lies in people’s socioeconomic conditions and the excessive takeover of corporations […], which is why efforts should also go beyond legal procedures in the court to resolve social conflicts [during land disputes],” Agus said. Agus said the government had delievered on such efforts by involving businesses and the relevant ministries through community-empowerment programs, helping them cultivate their land by providing livestock and crop seeds. Apart from retracting unlicensed land and confining areas, he also added that the government had enforced a 2017 government regulation on HGU requiring corporations to give 20 percent of their land to local residents in “partnerships”.